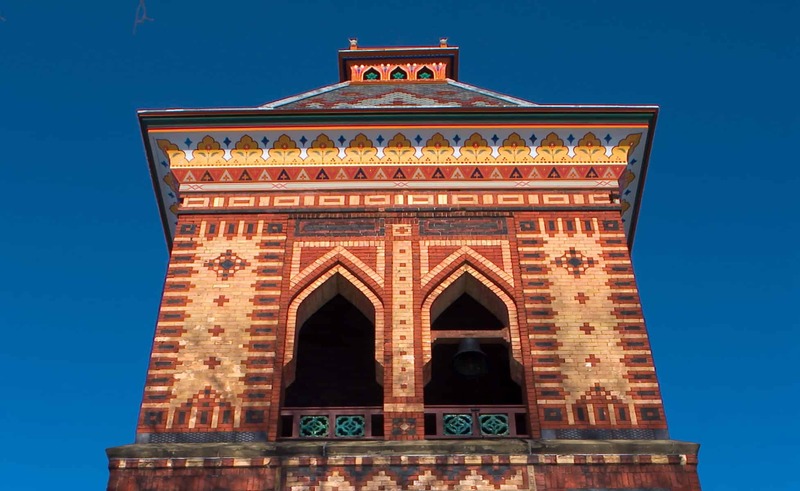 Immerse yourself in the design of Olana’s historic Main House from all angles, including exterior architectural features, the arrival experience, interior design elements of the first floor rooms, and Frederic Church’s painting studio. This in-depth guided tour allows you to immerse yourself in Frederic Church’s creative process, from the design of the house in its landscape setting to the evolution of the interiors from 1872 through today. The highly collaborative design process between Church and famed architect Calvert Vaux, as well as with Church’s wife Isabel, will be explored. Highlights include interior elements by Church’s protégé Lockwood de Forest and current restoration goals.